O.P.M.S. 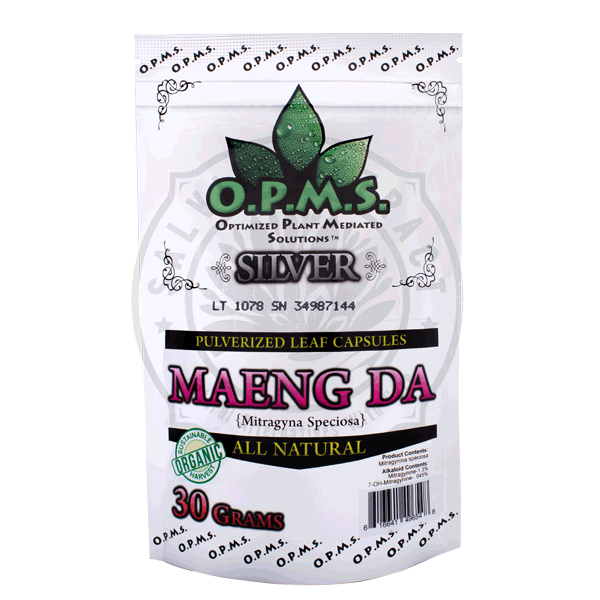 Silver Maeng Da is excellent for chronic pain, anxiety, and natural sleep. Often, Maeng Da is the strain used for addiction replacement therapy. O.P.M.S. 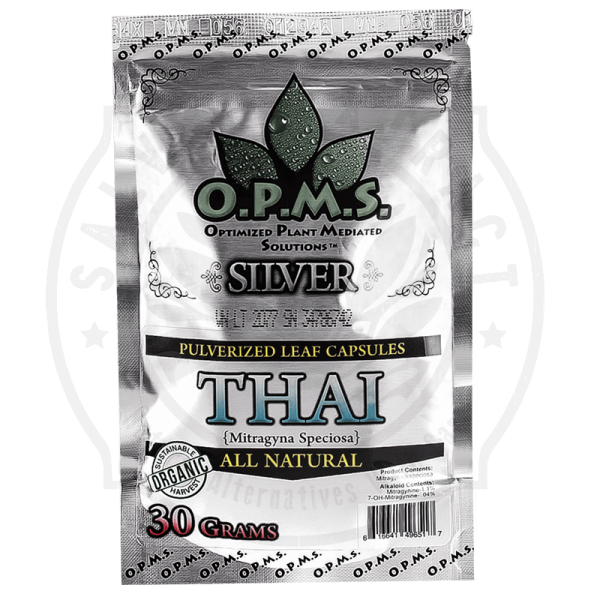 Silver Maeng Da Kratom is a genetically engineered derivative of the Thai Kratom tree. Maeng Da is noted for having higher alkaloid content than its archetypal strain. 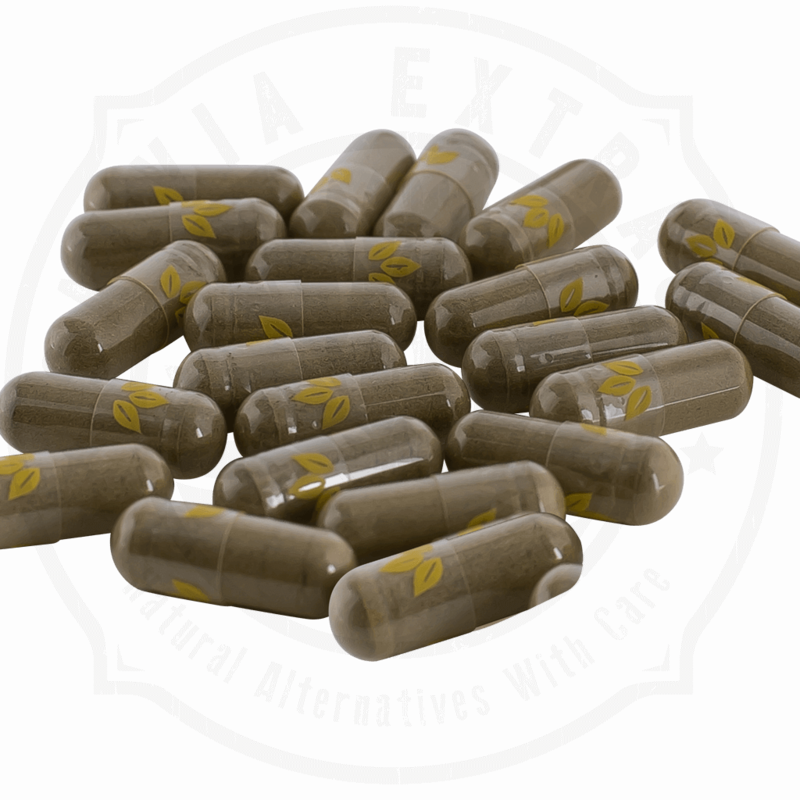 While there have been limited formal studies on the subject, it is reported that Maeng Da contains more of the mitragynine, 7-hydroxymitragynine, and mitraphylline active compounds than other varieties. 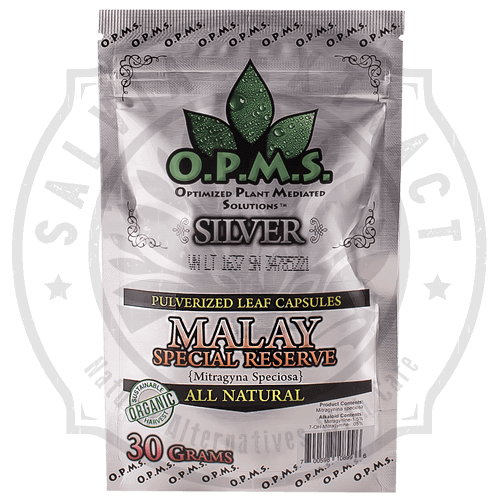 Some people find Maeng Da effects to be significantly stronger than typical Kratom leaves while others may only notice modest differences or no change at all. 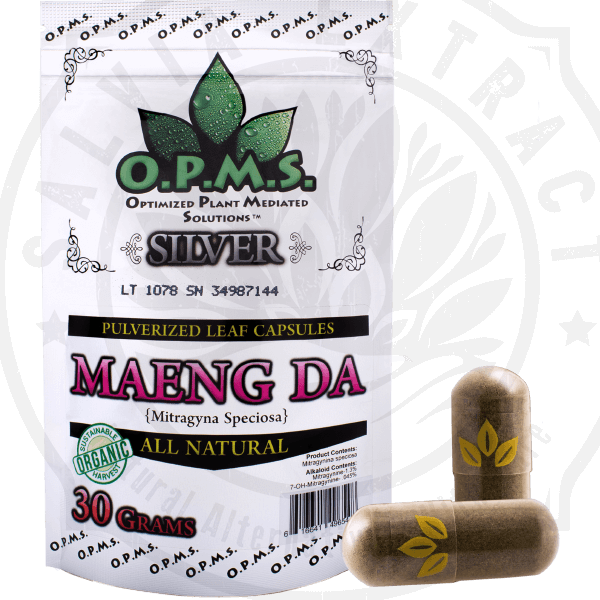 When consumed in small to mid-size dosages, Maeng Da is very stimulating in nature and can make you feel more awake, alert, and vigilant. Many users of Maeng Da say that it helps them to pay attention and concentrate better. It can help increase productivity. Many people claim to experience less fatigue when working, studying, or engaging in any mentally draining exercise. Start small with one gram (2 capsules) and work your way up until desired effects are achieved. 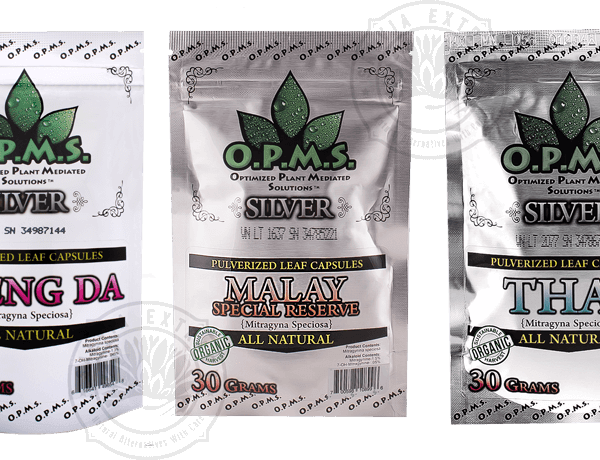 Maeng Da kratom is stronger than all other strains. Every individual is different, and dosing should be tailored to the user. 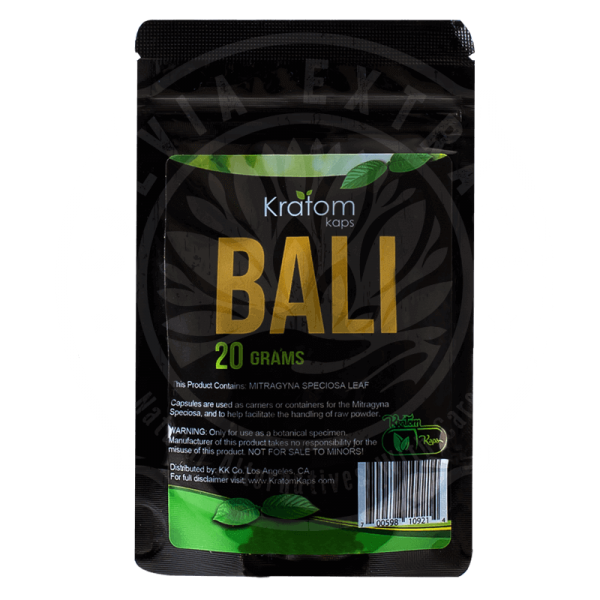 Remember, with all kratom, LESS IS MORE! Tried the Maeng Da 8 grams. No effects were noticed whatsoever.